Supply, cut and program of new Transponder Car Keys and Central Locking FOBs. Solutions for most Australian and European Cars. KeyBay is your one stop solution for supply, cut and program of replacement car keys. We do over 90% of Australian vehicle makes and models and many popular European cars also. 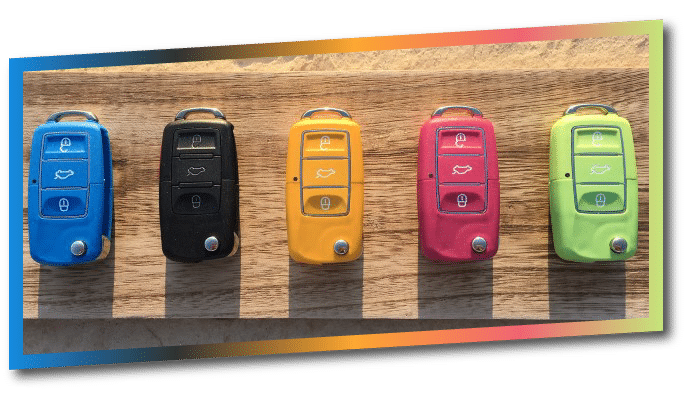 We can replace your lost, stolen or damaged car key using our specialised equipment and a selection of high quality Central Locking Key FOBs, proximity car keys and remotes. We offer a cost effective and time-saving solution where we come to you! This removes the double handling and extra costs associated with other solutions and also means we can test and guarantee a working car key before you pay for the new product. Our fully equipped mobile automotive locksmith has a range of the latest in key cutting and programming technology. Not only are we confident in our equipment, we’re confident in our knowledge and ability to handle some of the most sensitive cars on today’s market, including Audi, Volkswagen, Skoda, BMW and many others. Keybay services the Macarthur, Wollondilly and Southern Highlands areas. We have a dedicated call team, online ordering and a full time customer service team waiting for your enquiry. We understand that some situations are more urgent than others and always endeavour to provide a rapid response when it matters the most. Our car key replacement service is guaranteed to solve your problem, whether you’re stuck in the supermarket car park, the side of the road or simply want a spare key for your car. We service all major car brands on Australian roads including most European models, including Hyundai, Holden, Mitsubishi, Ford, Toyota, Audi, Volkswagen, Skoda, BMW, Peugot, Nissan, Mazda and many more. To receive a quote for a replacement car key, please provide some details via the Quick Quote form on this page or our detailed Booking Form.